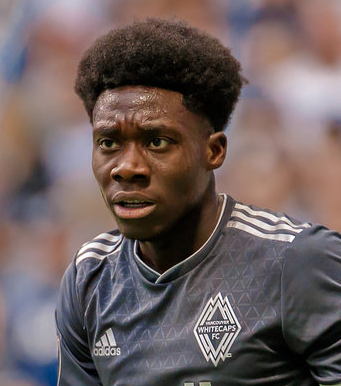 One of the popular professional football Player is named as Alphonso Davies who plays for Vancouver Whitecaps FC and Canada Men's National Team. He is well known celebrity. He is famous for contribution in professional life. He is best at Winger position. Currently, he is playing in Vancouver Whitecaps FC. He had played for Whitecaps FC 2. He is left foot player. His Shirt number is 67. Passionate and enthusiastic player, Alphonso Davies was born on November 2, 2000. His full name is Alphonso Boyle Davies. He was born and raised in Buduburam, city of Ghana. His parents lived there while fleeing Liberia during the Second Liberian Civil War. His nationality is Ghanaians as he was born to Ghana family. His astrological sign is Scorpio. At the very small age, he began his career with football. On June 6, 2017, Davies officially received Canadian citizenship. Davies has got a great personality. Talking about his body, his height is 1.81 m. His weight is of 69 Kg. He has balanced body with good health. He has attractive body figure. His smiling face and charming personality has helped him to gain the attention of all the viewers. In 2015, Davies started his youth career by joining Whitecaps FC Residency. On February 23rd, 2016 he signed with the club, Whitecaps FC 2 in the United Soccer League after playing for Whitecaps FC. He became the first youngest player to sign in USL. On May 15, 2016 he made his first professional goal to Whitecaps FC 2. 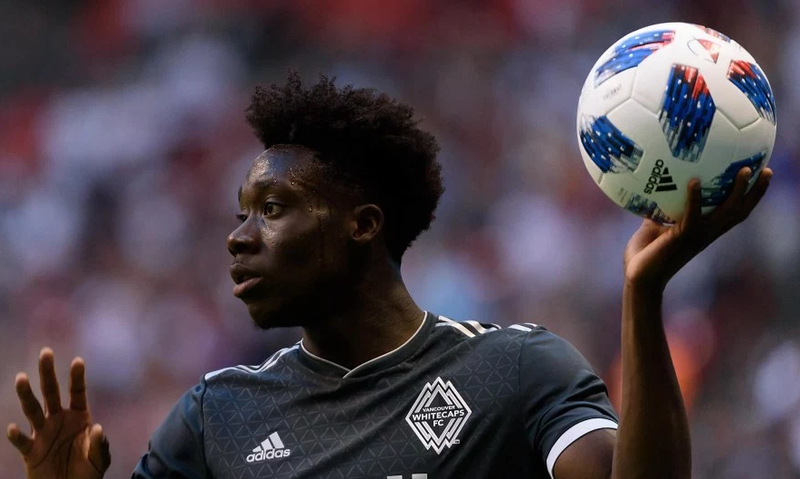 On July 15, 2016 he signed a contract with the Vancouver Whitecaps through 2018, with options for the 2019 and 2020 seasons and also he was the youngest player in Major LEague Soccer. He made his debut for this league on July 16th, 2016 and scored his first goal for this team in September, 2016. In the 2018 season opener Davies scored his first goal in MLS and assisted on a Kei Kamara goal against the Montreal Impact. Later on 25th July, 2018, he was transferred to Bundesliga club named Bayern Munich with the transfer fee of $22 USD including all bonuses. He had represented himself in his national country, Ghana in both senior as well as junior levels in many tournaments. He was called to numerous Canadian U-15, U-18 and U-20 camps to play in 2014 and 2015. In November 2016, he scored against Jamaica in Canadian U-17 camp. He was named twice the Canada U17 Male Player of the Year for his performances with the in 2016 and 2017. Davies was added to a Canada's senior team camp for a friendly against Curacao at the age of 16. On June 27, he was named to the final 23 man squad for the 2017 Gold Cup. Davies also scored twice in a 4–2 victory over French Guiana. The goals make him the youngest goal scorer in Gold Cup history and later he scored in second match against Costa Rica. Davies made to win the Golden Boot as the tournament's top scorer, the Young Player of the Tournament award and he was also included in the tournament's Best XI selection. He might have earned considerable amount of net worth and property about which he has not openly spoken about in public. His exact net worth figure is still yet to get unfolded. His Market value is £720k as of 2018. The excellent player, Davies has not revealed anything about his peronal relationship. So, may be his is single or he has a girlfriend. It is yet to figure out. Thus, he is focusing mainly in his career than in relationship. On June 6, 2017, Davies officially received Canadian citizenship. On May 15, 2016 Davies scored his first professional goal, making him the youngest goal scorer in United Soccer League history at 15 years and 6 months. Davies went on to win the Golden Boot as the tournament's top scorer.